Check out this 2 story home on 5 acres, minutes to the beautiful coastal waters in the Crawfordville area. With 2482 heated & cooled SF, this 5 bedroom 3.5 bath home offers a lot of potential at this price. Floor plan utility downstairs features a large eat in kitchen, separate living and dining areas, half bath, & master bedroom with full bathroom including double walk in closets. 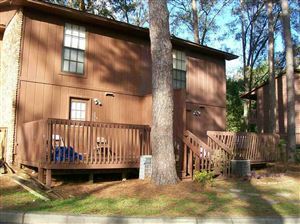 Upstairs features 2 bedrooms and 1 full bathroom. Other 2 bedrooms share Jack N Jill style bathroom. This is a Fannie Mae Homepath Property.